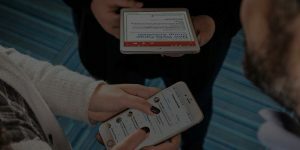 Ronald McDonald House of Winston – Salem is using VolunteerHub to automate process, prevent data-entry errors, save time, and create more engaging experiences for volunteers and the families they serve. Ronald McDonald House of Winston-Salem is in the business of touching lives and helping families towards recovery. Their mission is to create a home away from home for families with children receiving medical care in the community. Operating under their (CRIS) value system Ronald McDonald House of Winston-Salem provides services with compassion, respect, integrity, and support to all who come in contact with them. In 2017 alone, Ronald McDonald House of Winston-Salem provided support to 2900 families (8,148 individuals) between their house and family rooms (Brenner, Forsyth). The nonprofits’ capacity to serve has grown exponentially from 10 bedrooms in 1984 to 35 bedrooms today. In order to provide services and care to community families, Ronald McDonald House of Winston-Salem utilizes the assistance of over 4,100 volunteers per year. Volunteers provide assistance organization-wide filling such roles as customer service, admin support, general support, and family support. 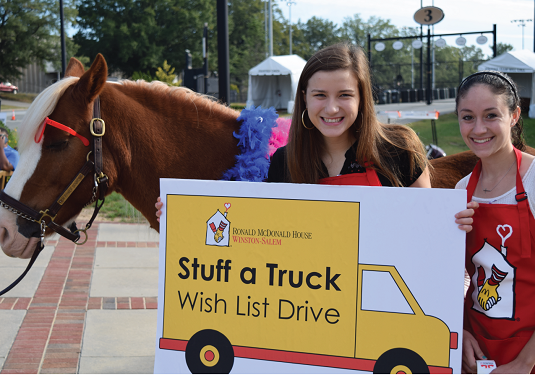 The importance of volunteers and their contribution to Ronald McDonald House’s mission has compelled the Winston-Salem organization to focus on volunteer recognition, engagement programs, and the overall management process. Prior to implementing VolunteerHub’s volunteer management software the Ronald McDonald House of Winston-Salem relied heavily on manual processes for outreach, hour tracking, and reporting. Reporting key data about supporters and their interaction with the organization took many hours. Hours that could be better invested in other capacities of the organization such as relationship building and providing personalized experiences. The Ronald McDonald House of Winston-Salem needed a better way of creating automation and data-driven metrics to push the program further. Ronald McDonald House of Winston-Salem evaluated many of the top volunteer management solutions on the market in search of a partnership that could meet their specific needs. After vetting several solutions, the organization landed on VolunteerHub because of the provided features sets, customization capabilities, and implementation assistance from the VolunteerHub team. The Ronald McDonald House worked with VolunteerHub post-acquisition to set up the volunteer management solution to match their needs, goals, and desires for their unique volunteer program. They also trained with the VolunteerHub team to better understand the capabilities and automation benefits of the tool. Today, Ronald McDonald House of Winston-Salem uses VolunteerHub to streamline and automate many components of their volunteer management process. The organization is now able to quickly communicate with volunteers by opportunity, create opportunity specific landing pages for volunteer recruitment and retention, allow volunteers to sign in and out via on-site kiosk, and run strategic reports quickly and efficiently. 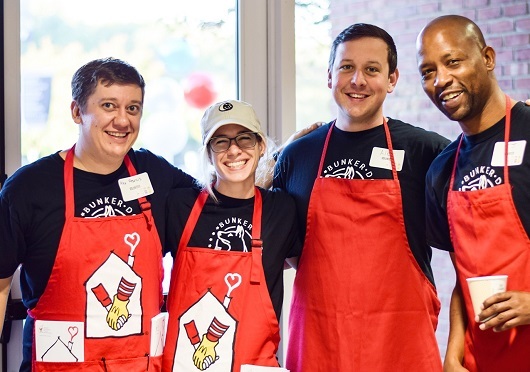 VolunteerHub’s volunteer management features are saving Ronald McDonald House of Winston-Salem hundreds of hours per year while helping the organization make strategic decisions based on data. Ronald McDonald House of Winston-Salem wants other houses and nonprofits who are using a manual volunteer management process to realize that there is a better way to manage volunteers. 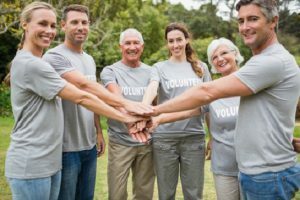 A volunteer management solution can help automate management so hours can be saved and time can be allocated to other organization driving needs. Ready to transform your organizations volunteer management process and become our next success story? Contact us today to learn more about VolunteerHub and how we can help.